Don’t you just hate it when something so simple gets overly complicated? This happens in all sorts of ways, from cumbersome processes in the workplace (like the classic Office Space rant, “We are putting new coversheets on the TPS reports”) to homeowners associations that want to control everything about every house in the neighborhood, to simply what you put in your mouth. 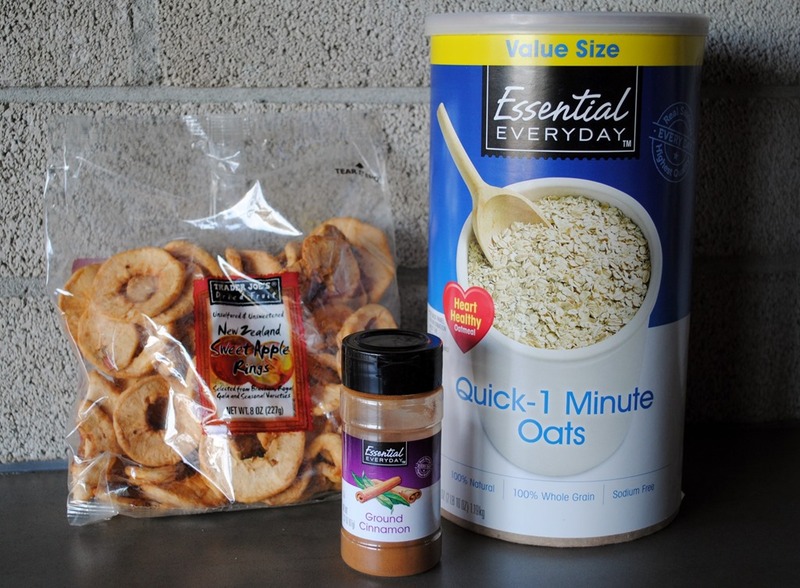 This oatmeal, besides having a lot of ingredients, has a lot of sugar! 13 grams is 3.25 teaspoons of sugar per packet! And, let’s be real – most adults eat two packets (I always did!). 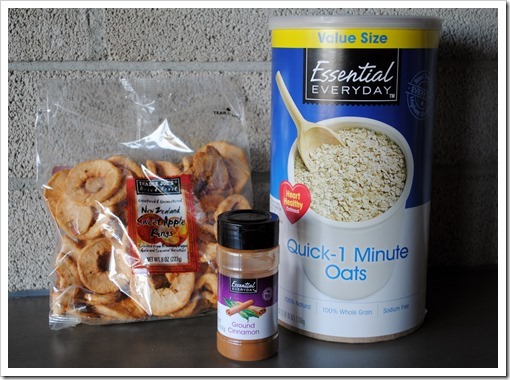 I have a suggestion this week for making your own instant oatmeal packets with only three (perhaps four) ingredients, which has half the sugar, more apples, and will save you money in the long run. You can keep these in your desk drawer, backpack, or handbag, and always have something healthy with you when the snack attack hits. It’s fairly easy to get hot water and, at a minimum, a paper cup to mix it in, pretty much anywhere – coffee shops, convenience stores, or the office break room. 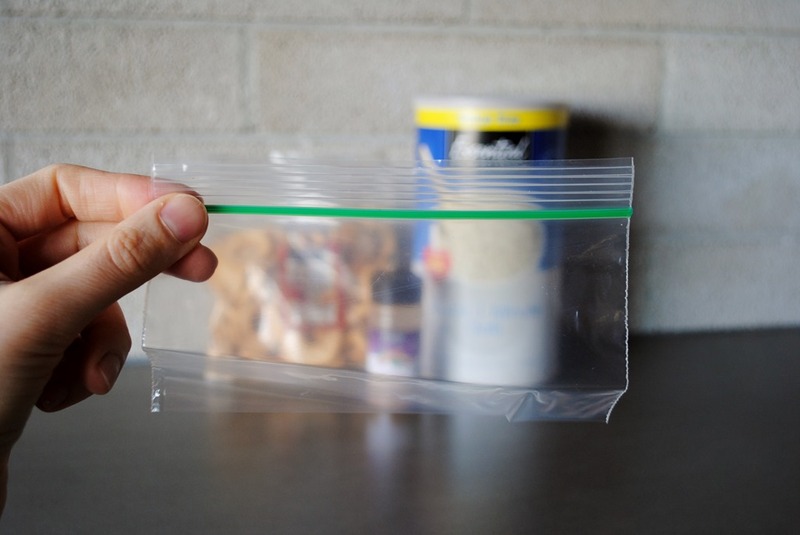 And, you’ll need some sort of baggie or storage container. 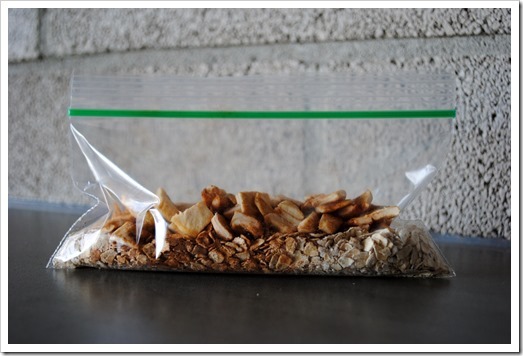 These brown paper snack bags would be excellent, and something completely reusable would be even better, but all I had was little plastic snack-sized baggies, so that’s what I’m going with in this example. To make hot oats, simply pour the packet into a bowl, mug, or cup, add about 3/4-1 cup (depending your preferences) boiling water and stir. Then, cover and let sit for about 3 minutes and enjoy. 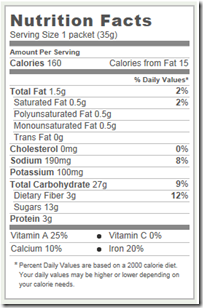 For this breakdown, I’m counting a serving as the serving size used in the recipe, not on the bag/box. There are really only 5 servings of apple rings per package, but I only used 1/4 serving in the recipe. The cost of the cinnamon in this recipe is really negligible, but I have listed it just in case with a guesstimate. The cost savings seems minor in scale, but over time, this could really add up. 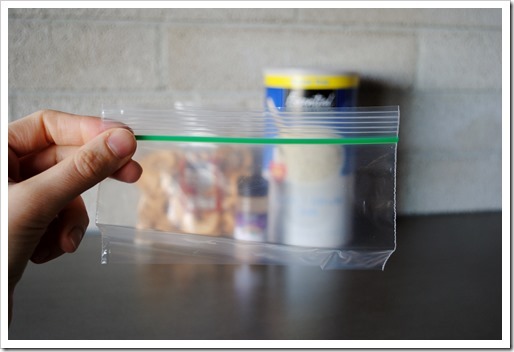 Plus, by buying bulk ingredients and divvying it up yourself, you save all that wasteful packaging that comes with store bought. What do you think? Worth it to make your own? 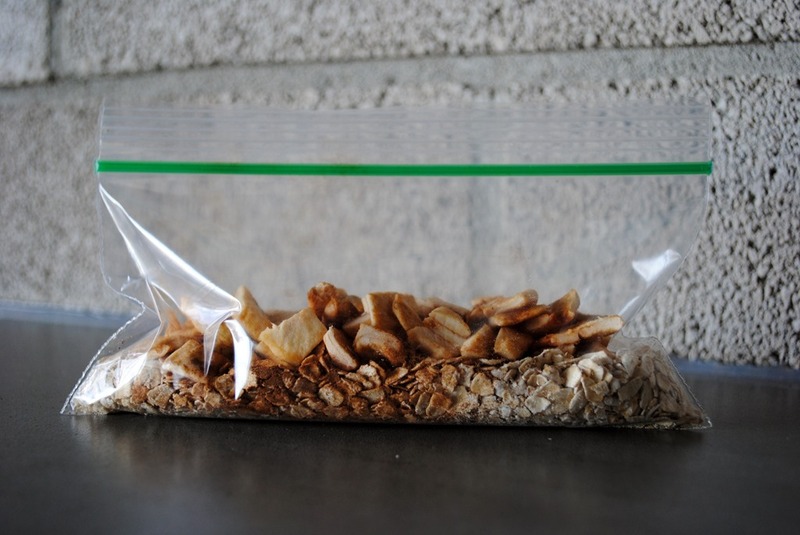 Want to try this, I make overnight oats all the time. These are something my daughter would love because she always eats the Quaker packets. Now, they can be healthier for her!